NOTE: Also check out General Interest Camps, Academic Camps and Sports Camps. Our favorite Midwest overnight camps are here. Actors Gymnasium Youngsters learn the arts of circus, drama and movement (including tumbling!). They’ll also take several field trips and paticipate in an end-of-session circus-theater performance. 927 Noyes St, Evanston (847-328-2795). Session one runs Jun 13–July 8, session two runs July 11–Aug 5, Mon–Fri 9am–4pm. One session $890, both sessions $1,715. Ages 9–15. Adventure Stage Chicago Budding performers will flourish at this camp designed to strengthen, stretch and flex creative muscles. Kids learn the basics of stage combat, improv acting and perform monologues from popular plays. It all ends with a performance for eager parents. Adventure Stage Chicago, 1012 N Noble (773-342-4141). Aug 2–Aug 13. $225 for one session, $400 for both sessions. Ages 8–14. Ballet Chicago Ballerina Dream campers will create and perform a dance, decorate a tutu and tiara, make their very own princess wand and more. Eligible students ages 11 and up may be selected to attend the School of Ballet Chicago’s annual program. Past students have even been asked to join the Ballet Chicago Studio Company, the school’s pre-professional ballet company. Ballet Chicago, 17 N State St, 19th floor (312-251-8838). Jun 13–17, summer course runs Jun 20–July 22. $230 for camp; $1,800 for summer course. Ages 4–18. Chicago Children’s Theater Led by a team of artists, administrators and special-education teachers, Camp Red Kite caters to kids affected by autism. Over three weeks, children participate in music, movement, drama and arts and crafts classes. The CRK curriculum includes a highly-structured schedule that’s displayed pictorially in each room—and the staff gives personal attention to each camper. Case in point: Before enrolling, each new family must attend a meet-and-greet session, where kids participate in typical camp activities for an hour. After attending, the camp staff and the family will decide if Camp Red Kite is right for the child. Agassiz Elementary School, 2851 N Seminary Ave (773-227-0180). Jul 11–Jul 29, Mon–Fri 8:30am–12:30pm. Ages 7–14. Chicago Kids Company The Summer Musical Theatre Camp kicks off by discussing the play and the characters—everything from scenery, to costumes, to props. Theater games and auditions round out day one, then it’s full steam ahead to rehearsal. Whether your kiddo lands a leading role or a supporting part, there’s time for visits to the park and popsicle-eating between all of the scenery prep and costume design. 4104 N Nashville Ave (773-205-9600). Jul 18 –Jul 29, Mon–Fri 10am–3pm. $550. Ages 9–15. Chicago Music Stars Camp From voice to dance to stage presence, pint-size singers learn the ins and outs of the music world and even participate in a real music video. 525 W North Ave (312-664-5437). Dates, times, prices TBD. Ages 9–14. CircEsteem Summer Camp Barnum & Bailey fans will be in heaven thanks to this circus-filled summer. CircEsteem gets little clowns up, moving and imagining: Campers learn iconic circus skills, including unicycling, stilt walking, gym wheel and more. All campers strut their stuff in an end-of-camp public performance. 4730 N Sheridan Rd (312-731-4242). Jun 20–Jul 29, Mon–Fri 9am–3pm. One-week session $260. Ages 7–17. Columbia College Summer Arts Camp Kids develop new skills through activities such as painting, creating a short film and staging a play. Camp culminates in an end-of-session gallery show, film screening and stage performance. Columbia College Chicago, 600 S Michigan Ave (312-369-7574). Jun 20–Jul 29, Mon–Fri, 8:30am–3:35pm. Six-week camp $1,760. Grades 3 to 9. Emerald City Theatre Company Summer Camp At these super-popular camps, kids learn the basics of acting, singing and dancing by developing scenes, plays and characters. Mini drama queens and kings will dig tackling themes ranging from superheroes to mystery musicals to the hit TV show Glee. Emerald City Theatre Company, 2933 N Southport Ave (773-529-2690). Jun 6–Aug 26, Mon–Fri, times vary. Prices $225–$750, depending on length of session and camper’s age. Ages 3½–13. The Entertainment Project Kids hone performing-arts skills in small groups focused on singing, dancing and acting. Each session ends with a production that showcases the elements of drama, dance and art that campers learn throughout the session. Gordon Tech High School, 3633 N California Ave (773-243-7729). Jun 20–Aug 19, Mon–Fri, hours vary. Prices $190–$240. Ages 5–17. eta Creative Arts Foundation Kids hone their performing-arts skills in small groups focused on singing, dancing and acting. Each session ends with a production that showcases the elements of drama, dance and art that campers learn throughout the session. 7558 S Chicago Ave (773- 752-3955). Jun 14–Aug 20, Mon–Fri, hours vary. Prices $190 per week plus $38 costume fee. Ages 5–17. Brain Arts Camp In three separate weeklong sessions, kiddos ages 6–18 put together their own plays. Mornings are for creating—writing, performing and rehearsing—while afternoons are for skill-building exercises. No experience required. 5036 N Lincoln Ave (773–798–9915). Sessions run Jun 20–24, July 11–15, Aug 15–19, 9am–4pm. $300 per camper; $500 for sibling or friend pairs. Ages 6–18. Galaxie Art Camp Through classes ranging from martial arts to language studies, it’s all about the fine and performing arts at Galaxie. At the 11,000-square-foot facility, kids dance, draw and even swing on tires. The field trips are pretty darn cool, too—past campers had the opportunity to watch a Blue Man Group rehearsal. The Galaxie, 2603 W Barry Ave (773-267-6010). Dates, times and prices TBD. Ages 5–12. Giordano Dance Center One of the most renowned names in jazz dance, Giordano offers a fun, fast-paced camp. Your tiny dancer will explore the dance styles of hip-hop, Giordano jazz, ballet and modern. Campers participate in craft projects during their lunch hour. Giordano Dance School, 614 Davis St, Evanston (847-866-9442). Dates, times and prices TBD. Ages 6 –12. Girls Rock Chicago Learning through music lessons, band practice and music-related games, girls unleash their inner Lady Gaga. (So look out!) Campers get a taste of every aspect of the music world, including band marketing, management and even band logo design. Your daughter will even have the chance to write her own music and perform it at the End-of-Camp Extravaganza, which is open to the public. 7644 N Honore (773-289-2670). Dates, locations, times and prices TBD. Ages 8–16. Hyde Park Art Center Creativity Camps In the mornings, campers attend visual-arts camp where they paint, draw, sculpt and more. In the afternoons, kids polish stage skills with performance activities, such as improvisation, clowning and yoga. Highlights include an end-of-session performance and several field trips to nearby hot spots, such as the Smart Museum of Art. Hyde Park Art Center, 5020 S Cornell Ave (773-324-5520). Jun 13–Sept 2, times vary. One-week session $350–$375, two-week session $650–$675. Ages prekindergarten to 5th grade. Joffrey Ballet Tiny ballerinas get inspired by the Cinderella theme in Joffrey’s Summer Movement camps. Youth camps, teen camps, two-week intensive workshops and more round out the offerings. In addition to intensive training, sessions cover topics such as jazz, pointe, body-conditioning, Pilates and more. Joffrey Ballet, 8 E Randolph St (312-739-0120). Check website for session dates, time and prices. Ages 3–21. Kendall College Summer Camps Spice up your little chef’s summer with day or overnight camp at Kendall College, where kids learn cooking techniques from some of the city’s fine food and dining stars. Courses cover culinary skills, international cuisine and advanced chocolate (mmm). Overnight campers will develop their culinary skills as they explore the city with activities such as attending the Broadway in Chicago theater series, restaurant dining and boat tours of the city. Kendall College, 900 N North Branch St (312-752-2206). Dates vary. Day campers: Mon–Fri 8:30am–4:30pm. One-week day session $675–$800, one-week overnight session $1,100–$1,225. Ages 13–18. Language and Music School Kids learn Spanish via music- and performance-based activities—like treasure hunts, crafts, games, puppet shows and plays. Weather permitting, there are field trips to the bread store down the street and other nearby places. All campers are required to visit with the director for placement. 150 N Oak Park Ave, Oak Park (708-524-5252). May 23–Jul 23. Half-day sessions begin at $42 for one day per week; 9:30am–12:30pm or 12–3pm. Full-day sessions begin at $76 per day; 9:30am–3pm. Lifeline Theatre Drama Camp Put your pint-sized actor’s skills to the test at KidsOnStage Summer Drama Camp. Children learn and develop the basics of improv, movement, staging, teamwork, self-respect and more. Lifeline also offers a technical and design-intensive camp this summer for those interested in the art and science of stagecraft. Lifeline Theatre, 6912 N Glenwood Ave (773-761-4477). Jul 11–29, Mon–Fri. times vary. $175–$625, depending on program and length of session. Ages 4–11. Light Opera Works In these one-week workshops, students learn singing, dancing and acting skills that culminate with a public performance on Saturday. Five separate workshops are offered this summer, each based on a hit musical (a la Fiddler on the Roof). Students may attend more than one workshop. Lake Street Church, 607 Lake St, Evanston (847-869-6300). Jun 20–Jul 30, Mon–Fri 9:30am– 3:30pm. Final dress rehearsal is Saturday at 1pm, with public performance at 4pm. $350 per session. Ages 8–15. Lil’ Buds Theater Company Thanks to activities focused around music, movement, playwriting and performance, Baby Buds and Lil’ Buds blossom on the stage and build self-confidence, teamwork and imagination. The Greenhouse Theatre Center, 2257 N Lincoln Ave (773-371-1810). Jun 13–Aug 12, Mon–Fri. One-week session $175, two-week session $400, three-week session $650. Ages 3 and up. Lillstreet Art Center Creative kids can find an expressive outlet at Lillstreet’s summer camp. There’s a smorgasbord of cool stuff on tap: ceramics, metalsmithing, cartooning, photography, painting, movie-making and more. 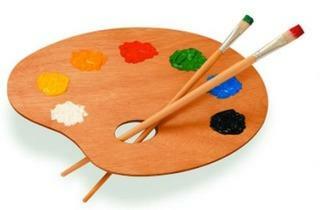 Lillstreet Art Center, 4401 N Ravenswood (773-769-4226). Dates, times and prices TBD. Ages 3½–18. Lookingglass Theatre Company Campers ages 8–14 can perfect their technique in an action-filled physical theater class by learning juggling, stilt-walking and stage combat through themes like Alice in Wonderland and Jungle Book stories. Middle and high school students focus on play creation based on themes, including race, responsibility and education. Younger thespians ages 5–8 can explore the city's most exciting cultural icons through storytelling, music and field trips. A more traditional four-week camp for kids 8–15 is also available. Lookingglass Theatre, 821 N Michigan Ave (773-477-9257). Camps run Jun 20–Aug 22, Mon–Fri, times vary. Two-week session $510–$685, four-week session $830. Ages 5–18. Northlight’s Performing Arts Camp The focus is on professional theater– training, but the counselors mix in summer-camp traditions (such as a weekly Friday visit to an area water park for kids who are old enough). And campers are rewarded for their hard work with an end-of-session showcase for family and friends performed on Northlight’s professional stage. Each week includes a visit from a guest artist affiliated with a theater—such as Steppenwolf Theatre Company, the Goodman Theatre, Chicago Shakespeare Theater, Lookingglass Theatre Company and/or Northlight Theatre. A limited number of need-based scholarships are offered on a first-come, first-served basis. 9301 N Gross Point Rd, Skokie (847-679-9501). Jun 20–Jul 15 and Jul 19–Aug 12; sessions are $885. Grades 3 to 10. Old Town School of Folk Music Kids get a taste of everything from songwriting to tai chi to Shakespeare at this camp that focuses on music and dance, but includes lessons in history, social studies and science. Campers learn to harness their creativity both independently and within groups. At the end of each camper’s session, he or she will present a final performance. 4544 N Lincoln Ave (773-728-6000). Music Jun 20–Jul 15; Theater Jul 18–Aug 12, Mon–Fri, 9am–3pm. Four-week session $1,350, eight-week session $2,600. Ages 6–10. 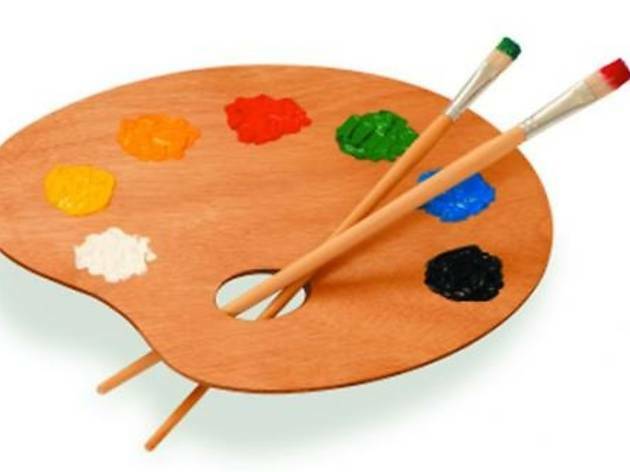 The Paintbrush Summer Art Camp Mini Monets join together to improve their skills with art lessons, projects and exploration. Through a combo of art and music, campers perfect their brushstrokes under the tutelage of qualified teachers. The Paintbrush, 2856 N Halsted St (773-636-1968). Dates TBD. Mon–Fri, 9:30am–12:30pm. One-week session $270, one day $55. Ages 3 to 3rd grade, must be fully potty trained. Paul Green School of Rock Summer Camp Aspiring Jim Morrisons, rejoice! Summer boot camp teaches kids musical skills and gives them real-life performance experience. Professional musicians school students on how to master their instruments and develop stage presence. Now your only worry is that your little rock star may come home sporting a green mohawk. 3043 N Ashwood Ave (773-857-3804). Jun 11–Aug 5, Mon–Fri 9am–3pm. Prices TBD. Ages 9 and up. Campers should have some musical experience. Piven Theater Camp Blow out the birthday candles, Piven—you’re celebrating your 40th year. Kids see why the tradition has lasted so long at summer workshops focused on improv, scene study and more—and in classes on topics like auditioning techniques and stage combat. Noyes Cultural Arts Center, 927 Noyes St, Evanston (847-866-6597). Jun 20–Jul 29, times and days vary. $95 and up. Grades 4–12. Play On Drama Camp Professional theater-training goes hand in hand with field trips, swimming and outdoor fun for a well-rounded camp experience. Campers attend acting, improv and musical-theater classes, plus various workshops and electives. Field trips may include Broadway in Chicago, Chicago Shakespeare and The Second City as well as jaunts to Medieval Times or a recording studio. 201 Sheridan Rd, Evanston (847-337-9614). Dates and times TBD. $770 for one session, $1,470 for both sessions. Grades 2–12. Provision Theater Company Campers learn about character development, improve their poise and forge new friendships. It’s major life skill stuff, taught via weekly themes (such as Disney Mania and Seussical) and with games, dancing, singing and costume contests. Provision Theater, 1001 W Roosevelt Rd (312-455-0065). Camps run Jun 20–Aug 19, Mon–Fri 9am–3pm. $200 for one week. Ages 5–16. Chicago River North Chicago Dance Company Kids whirl and twirl their way through an intensive program designed for intermediate to advanced dancers looking to train with some of the city’s best dancers. The two-day workshop offers three classes per day in styles such as jazz, ballet and acting, style and expression. Ruth Page Center, 1016 N Dearborn St (312-944-2888). Jul 31 and Aug 1, 11am–4pm. Two-day workshop $150. Ages 10–17. School of the Art Institute of Chicago In the Children’s Workshops, kids ages 6–13 explore the Art Institute and surrounding parks, monuments and public art, while learning about sculpture, painting, printmaking and more. In Multi-Media Camp, middle-schoolers explore digital media, video, photography and animation. Seventh- and eighth-graders can attend Fashion Camp, where they’re introduced to traditional and contemporary approaches to fashion design and explore construction materials and methods. School of the Art Institute of Chicago, 280 S Columbus Dr (312-629-6700). Jun 13–Aug 12. Sessions run full and half day; $191–$850 depending on membership and session. Ages 6–13. Second City Summer Camp SNL-bound kids can spend the summer at one of the most renowned improvisation and comedy houses. Little comedians perfect comedic timing and improve improv techniques thanks to some of the funniest instructors around. Campers perform a show at the end of the session. The Second City, 1616 N Wells St (312-664-4032). Jun 13–Aug 19, Mon–Fri 10am–3:30pm. Two-week sessions $745. Ages 11–18. Studio BE It’s theater-palooza for stage-smitten youngsters: In the Summer Intensive program, kids ages 7–13 join Studio BE to perform “No Strings Attached,” a quirky adaptation of the classic story of Pinnochio. The Studio BE Showstoppers’ program is a variety show, where kids learn improv, song and dance, puppetry and acting, while preparing their own performance for the end of the session. Studio BE, 3110 N Sheffield Ave (773-248-5900). Jun 20–Aug 19, Mon–Fri 9am–4pm. $425–$1,200. Ages 7–13. Swedish American Museum Children “travel” to a different country for the first four days of the Pioneer of the World Day Camp—via crafts, songs and visits from special guests. On the fifth day, kiddos present all the cool stuff they’ve learned and created at a World’s Fair. 5211 N Clark St (773-728-8111). Jul 11–15, Aug 8–12, 9am–2pm, extended care is available. $175 for members, $225 for nonmembers. Ages 7–10. Taste of Trinity Boys and girls discover the basics of Irish dance at Trinity Academy of Dance, learning the proper techniques of movement set to the rhythm of Irish music. Each six-class session concludes with a 15-minute performance for family and friends. No previous dance experience is necessary. Neither are Irish curls, but they sure are cute. 2936 N Southport Ave (773-529-4822). Jun 21–Aug 12, Tues/Wed/Fri, times vary. $95 per six-class session. Ages 4–12. Wishcraft Programs focus on fashion, green art (as in ecofriendly) and city architecture. Older campers can look forward to filmmaking and integrating green techniques into making their own wardrobe. 2312 W Roscoe St (773-348-9474). Dates, times and prices TBD. Ages 5–13.